Saturday in Corvallis, there will be a rally to show support for Native Americans protesting an oil pipeline project in the upper Midwest. KLCC’s Brian Bull reports. Multi-tribal gathering of demonstrators on the Missouri River to show solidarity against the $3.8 billion Dakota Access Pipeline. 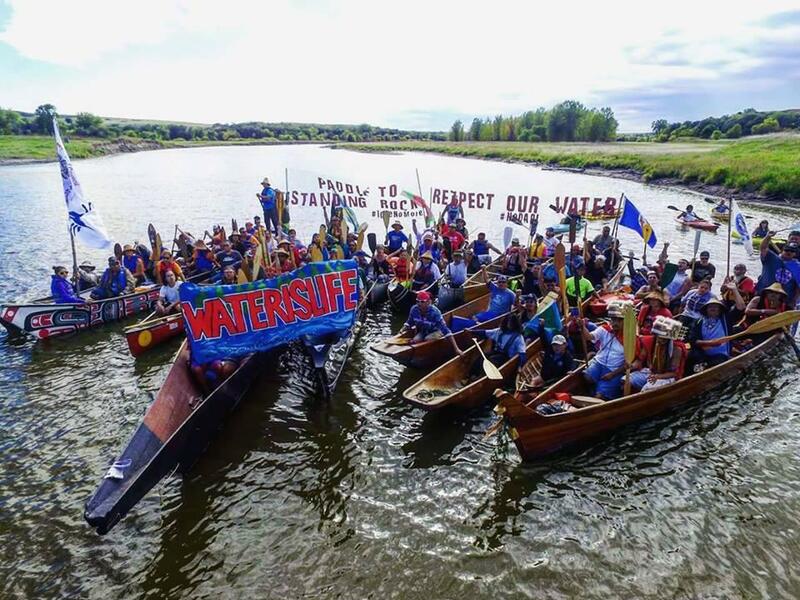 For months, members of the Standing Rock Sioux Tribe have voiced concerns over Energy Transfer Partner’s plans to run part of a pipeline near lands they deem sacred, and under their water source, the Missouri River. Support includes Corvallis rally organizer and Lakota tribal member, Ken Runningcrane. He says part of the event will be a teach-in to educate people. 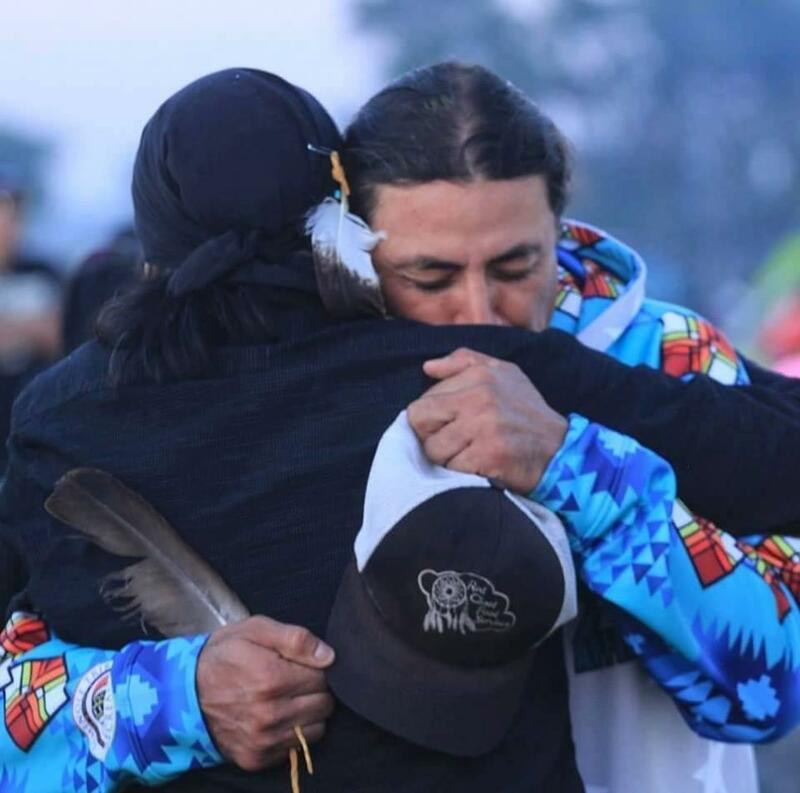 Descendants of Tatanks Iyotanka (Sitting Bull) and Goyaal'e (Geronimo) join in solidarity with the Standing Rock Tribe at the protest site. Another organizer, Corrine Fletcher, says she’s friends at the protest site near the Standing Rock Reservation. She says an ideal resolution for her would be stopping the pipeline altogether. “And to include in any kind of decision-making process the voices of people who are most impacted by those decisions in a meaningful way, not just a symbolic way,” adds Fletcher. But Runningcrane says most likely, the pipeline would be diverted if anything…where a rupture could still affect the drinking water of a few million people, not just Native Americans. Earlier this year, the U.S. Board on Geographic Names determined that 13 sites in Oregon’s Grant County would drop the word “squaw”. This aligns with a 2001 state law banning the word for public areas. Now as KLCC’s Brian Bull in Eugene reports, a county official hopes the federal government will allow two place names to be used over those proposed by local Indian tribes. The American Anthropological Association recently condemned the use of Indian mascots in any form—a concrete denunciation of a practice under discussion for several years. A related discussion is about the historic agreements with Native American tribes and the value of recognizing the sovereignty of the 566 tribal nations in the United States. Jason Younker is at the forefront of these discussions. 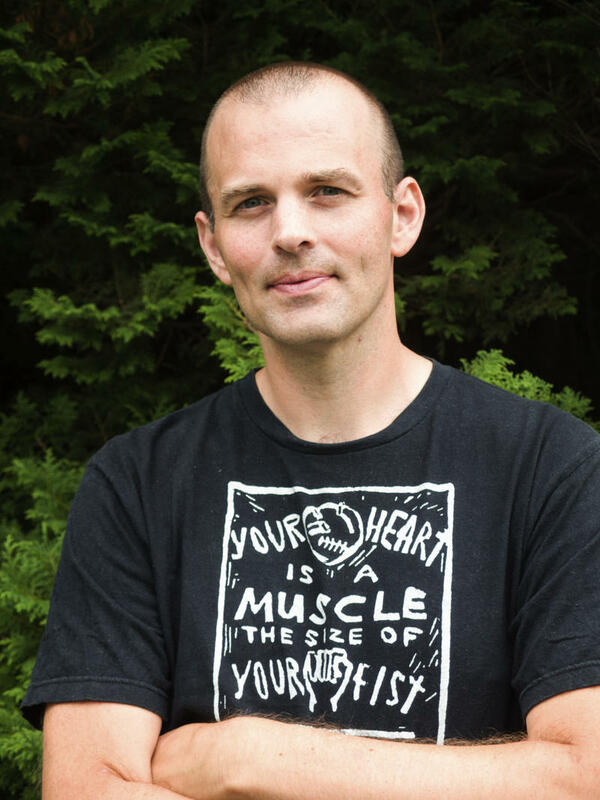 Originally from Alaska, Chris Dixon has been involved in social and environmental activist movements along the west coast for years. The self-described anarchist attended graduate school at the University of California Santa Cruz and now lives in Ottawa, Ontario in Canada. Dixon's new book is called "Another Politics: Talking Across Today's Transformative Movements". Dixon spoke with KLCC's Rachael McDonald.